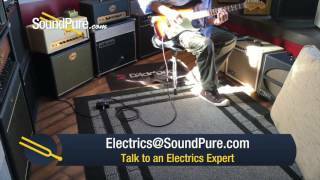 In this video, Sound Pure electric guitar expert Eddie Berman tests out the Tuttle 2-Tone Sunburst Custom Classic Worn S #235 with a Carr Sportsman 19W 1x12 Combo Amp, and an Xact Tone Solutions Precision Multi-Drive Guitar Pedal. 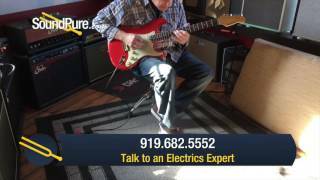 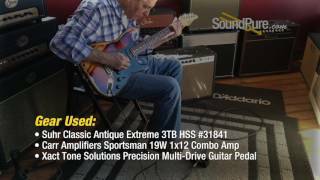 In this video, Sound Pure Electric Guitar expert Eddie Berman tests out the Suhr Classic Antique Extreme 3TB HSS #31841 using a Carr Sportsman 19W 1x12 Combo Amp and an Xact Tone Solutions Precision Multi-Drive Guitar Pedal. 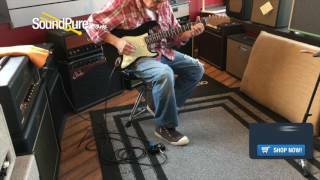 In this video, Sound Pure electric guitar expert Eddie Berman tests out the Anderson Raven Classic Egyptian Gold Electric #09-16-16P using a Suhr Badger 18 Amp Head, a Suhr Badger 1X12 Veteran 30 Cabinet, a Strymon Brigadier - dBucket Delay Effect Pedal and an Xact Tone Solutions Precision Multi-Drive Guitar Pedal. 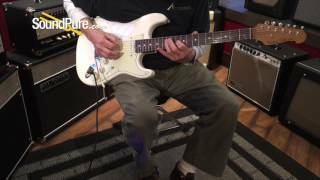 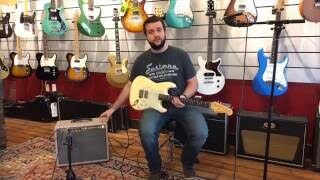 In this video, Sound Pure electric guitar expert Eddie Berman test out a used Fender CS Master Design John Cruz 2TB '63 Relic Strat, with a Suhr Badger 18 Amp Head, a Suhr Badger 1X12 Vintage 30 Cabinet, a Strymon Brigadier dBucket Delay Effect Pedal, and an Xact Tone Solutions Precision Multi-Drive Guitar Pedal. 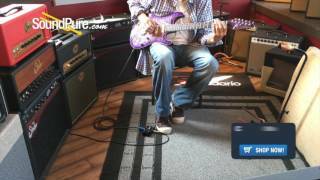 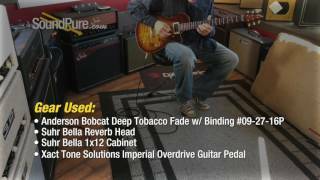 In this video, Sound Pure electric guitar expert Eddie Berman tests out the Anderson Drop Top Classic Purple Surf w/ Binding #09-13-16A using a Suhr Bella 1x12 Combo Guitar Amplifier, a Strymon Brigadier - dBucket Delay Effect Pedal, and an Xact Tone Solutions Precision Multi-Drive Guitar Pedal. 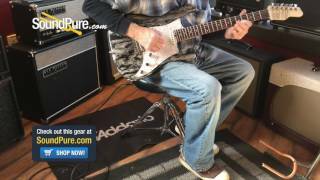 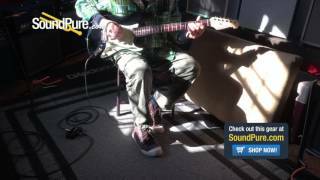 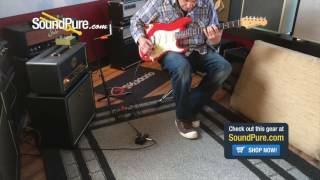 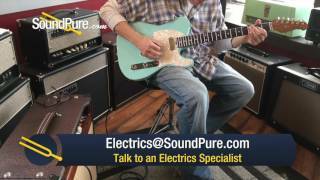 In this video, Sound Pure electric guitar expert Matt Anthony plays a Suhr Classic T Antique Sonic Blue SS through a 3rd Power Wooly Coats Extra Chimey 1x12 combo amp using using the Xact Tone Solutions Precision Multi-Drive guitar pedal. 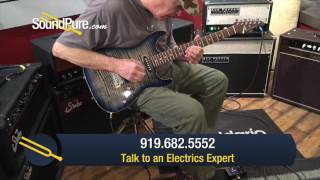 The Classic T is signed by none other than John Suhr himself. 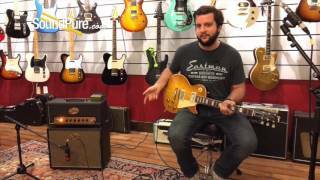 In this video, Sound Pure electric guitar expert Matt Anthony describes and demonstrates a 3rd Power Wooly Coats Extra Chimey 1x12 combo amp and a Michael Tuttle Custom Classic S electric guitar. 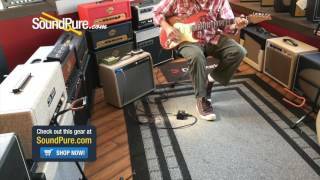 In this video, Sound Pure electric guitar expert Eddie Berman demonstrates the Suhr Classic Antique Extreme Fiesta Red HSS #28850 using a 3rd Power Wooly Coats Extra Chimey 1x12 combo amp, a Strymon Brigadier dBucket delay effect pedal, and an Xact Tone Solutions Precision Multi-Drive pedal. 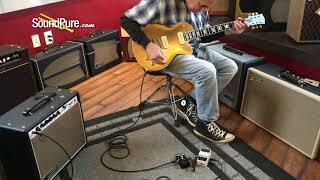 In this video, Sound Pure electric guitar specialist Eddie Berman tests out the Michael Tuttle Tuned T Daphne Blue Electric #428 with an Oldfield Marquis 15 Brown Ostrich 1x12 Combo (Used), a Strymon Brigadier dBucket Delay Effect Pedal and an Xact Tone Solutions Imperial Overdrive Guitar Pedal. 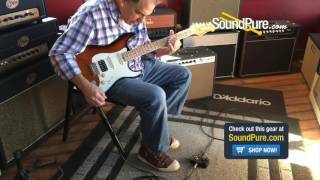 In this video, Sound Pure electric guitar specialist Eddie Berman tests out the Suhr Classic Scott Model Roasted SSS Electric #26041 with an Oldfield Marquis 15 Brown Ostrich 1x12 Combo (Used), a Strymon Brigadier dBucket Delay Effect Pedal and an Xact Tone Solutions Imperial Overdrive Guitar Pedal. 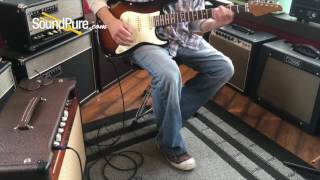 In this video, Sound Pure electric guitar specialist Eddie Berman tests out the Suhr Classic T Antique Trans White HH Roasted #31457 with an Oldfield Marquis 15 Brown Ostrich 1x12 Combo (Used), a Strymon Brigadier dBucket Delay Effect Pedal and an Xact Tone Solutions Imperial Overdrive Guitar Pedal. 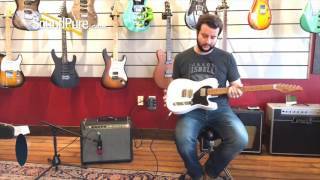 In this video, Sound Pure electric guitar specialist Eddie Berman tests out the Michael Tuttle Tuned S Olympic White HSS Electric #415 with a Suhr 2017 Badger 18 Amp Head, a Suhr 1X12 Veteran 30 Speaker Cabinet, a Strymon Brigadier dBucket Delay Effect Pedal, and an Xact Tone Solutions Imperial Overdrive Guitar Pedal. 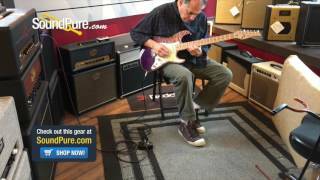 In this video, Sound Pure electric guitar specialist Eddie Berman tests out the PRS McCarty 10-Top Birds Blood Orange Electric #222649 with a Strymon Brigadier dBucket Delay Effect Pedal, an Xact Tone Solutions Imperial Overdrive Guitar Pedal and an Alessandro Crossbred Mutt Head & 1x12 Cab (Used). 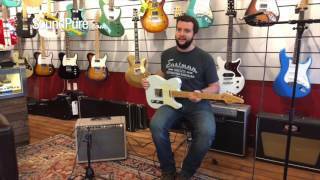 In this video, Sound Pure electric guitar specialist Matt Anthony tests out the Suhr Classic T Antique Trans White HH Roasted #31457 with a 3rd Power Wooly Coats Extra Chimey 1x12 Combo, an Xact Tone Solutions Imperial Overdrive Guitar Pedal and a Shure KSM313/NE Dual-Voice Ribbon Mic with Roswellite Ribbon. 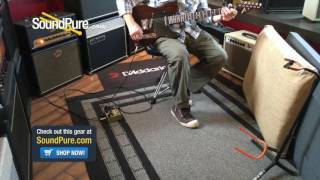 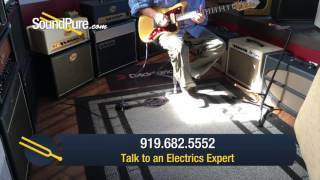 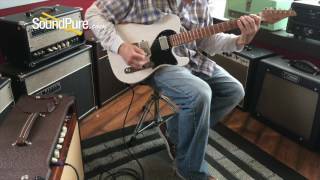 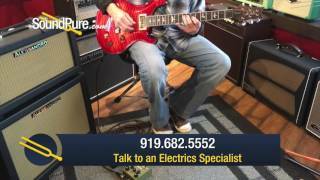 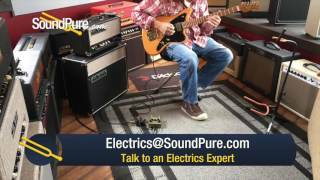 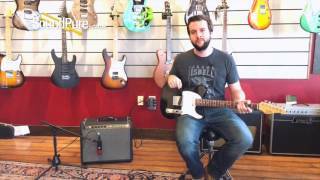 In this video, Sound Pure electric guitar specialist Matt Anthony describes and demonstrates the Suhr Classic T Pro 60's Black IRW SS Electric Guitar with a 3rd Power Wooly Coats Extra Chimey 1x12 combo amp, anXact Tone Solutions Imperial Overdrive Guitar Pedal, and a Shure KSM313/NE Dual-Voice Ribbon Mic with Roswellite Ribbon. 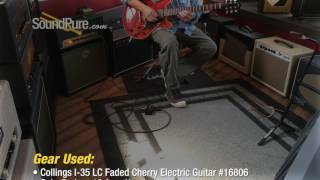 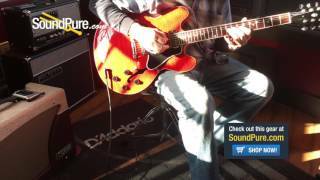 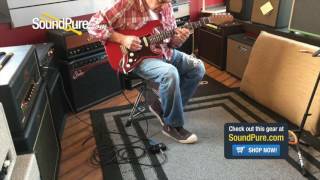 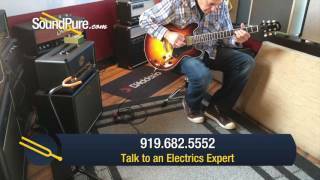 In this video, Sound Pure electric guitar specialist Eddie Berman tests out the Gibson 2013 Memphis ES-335 Cherry #11753708 (Used) with a Carr Impala 44W 1x12 Combo Amp, a Strymon El Capistan dTape Delay Effect Pedal, and an Xact Tone Solutions Imperial Overdrive Guitar Pedal.